Vinyl Digital Exclusive: Limited Edition of 500 Copies on black-white-marbled wax! With special printed brand new cover artwork by Georgia Anne Muldrow! 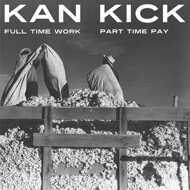 For the first time this KanKick classic is finally available on Vinyl! Heavy 2LP press!